If you’re lucky enough to work from home, you may sometimes find that the pull of your TV, couch, and bed are too strong for you to resist, causing your productivity to plummet. Our guest is working on changing all of that. In today’s episode we chat with Adam Segal, co-founder and CEO of cove, a network of neighborhood productive spaces with a community defining how to be productive. Adam founded cove with his own work style in mind—having worked in both large corporate settings and from his couch in the living room, he never felt he was being productive enough. cove provides that flexible alternative to the living room and coffee shop with all the tools and community to get things done. Adam talks about how he went from attending grad school for government studies to launching cove to solve his own problem of lacking productivity. He stresses the importance of community and personal interactions in enhancing productivity, and tells us why cultural fit is the most important factor when recruiting teammates. 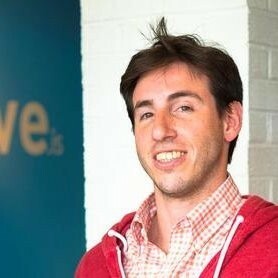 How he developed the idea for cove to solve a personal pain point of lack of productivity working in both corporate environments and from home. The process of bringing cove to life – writing a business plan, raising funds from one of the investors in Zipcar, and executing that plan to open up the first cove location. How he prepared for opening cove by actually getting a job in a coffee shop to understand why people went there to get work done. The importance of partnerships with local businesses to help grow cove’s membership. How he fostered the early growth of the cove community by making in-person connections, but is now relying on cove’s mobile app to better connect its members. The metrics that he tracks to measure success and customer satisfaction. Why cultural fit is the most important trait when recruiting employees, and how culture and brand can be a differentiator. Also, please leave a rating and review for the Go and Grow Podcast on iTunes. It will help others like you discover the show more easily, and we’d be really grateful! If you’re not sure how to submit a rating and review, check out this blog post for instructions. You’ll never miss another episode if you subscribe to the Go and Grow Podcast on iTunes, Stitcher Radio, Soundcloud, or the podcast player of your choice, and sign up for our email list below. Just do it!